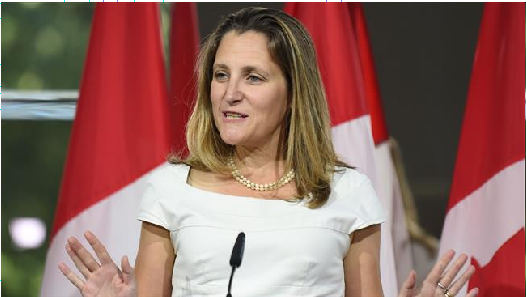 The United States and Canada have failed to reach a final deal on the North American Free Trade Agreement (NAFTA) in spite of long discussions this week. “Our officials are continuing to work toward agreement,” Lighthizer added. A new NAFTA agreement will not get through Congress unless Canada is included. The two countries plan to take up where they left off next week on Wednesday. In the interview with Bloomberg, Trump complained about the way the international trade body had treated the United States. “If they don’t shape up, I would withdraw from the WTO,” he said, describing the agreement to establish the body as the “single worst trade deal ever made”. US President Donald Trump once again repeats a threat to pull the United States out of a trade agreement with Canada and Mexico. During his presidential campaign, Trump repeatedly said that he would pull the US out of NAFTA which was signed by the US, Canada, and Mexico back in 1994.